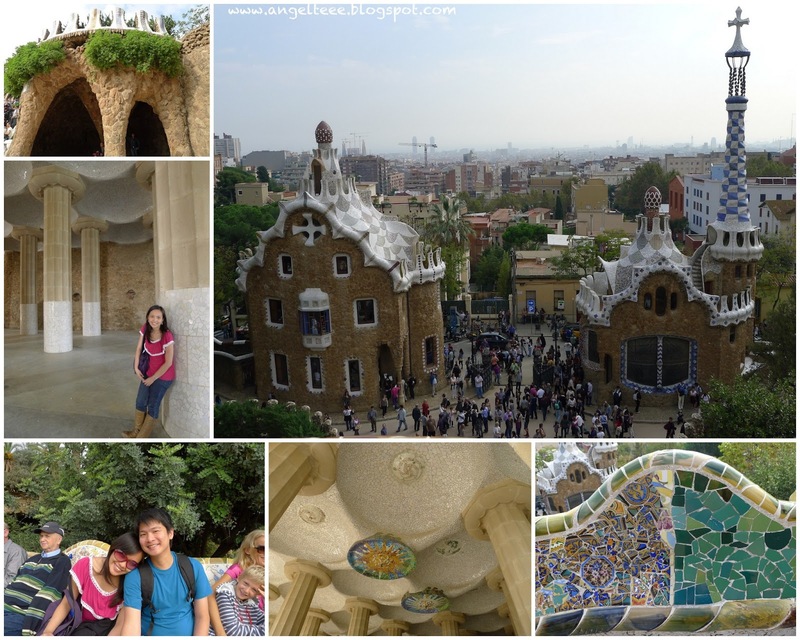 Tee's Blurbs: Part 1 - It's Barcelona, Baby! A blast from the not-so-distant past, because I promised every trip should be documented. I figured this is long overdue, so priority-wise, I should finish this and keep the rest of my 2013 trips in the queue! hihi. Yes, I'm writing once again about my ultimate love - travel! Barcelona is one of my favorite European cities, mainly because it is a city of culture and art, and because I loved the Catalan architecture brought about by Gaudi's work. After visiting a number of cities filled with baroque and gothic architecture and style, Barcelona provided the "change in scenery/new style" that I was looking for. Not that I'm complaining, but "different" is good sometimes too. Anyhow, I loved how the city was alive with loud colors and style. 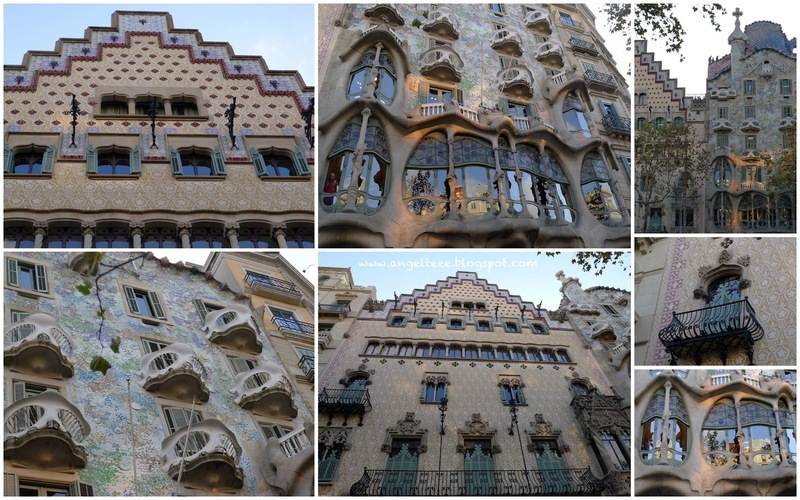 Gaudi, by the way, was a Spanish Catalan architect and his work is rather stylish and individual in nature. Barcelona, being the capital of Catalonia, features most of his works. Our first day was mainly focused in getting around the city and visiting Gaudi's famous works (declared by UNESCO as world heritage sites) and it really wowed us! 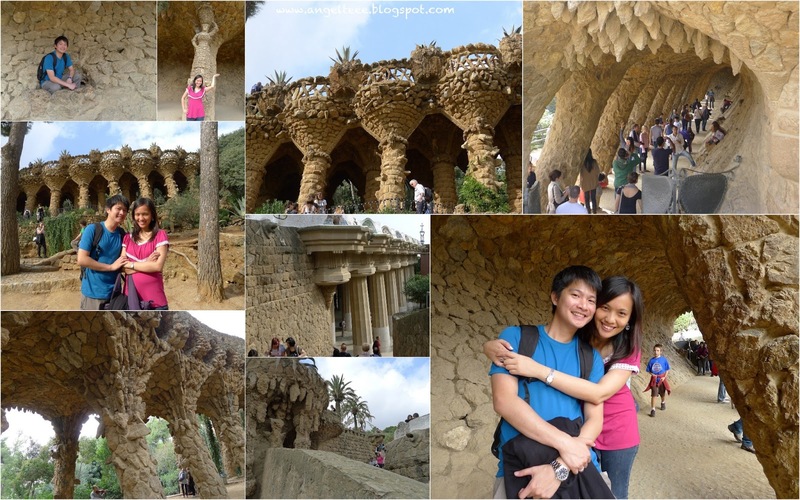 Located at the upper part of Barcelona, Parc Güell allows visitors to enjoy wonderful views of the city. 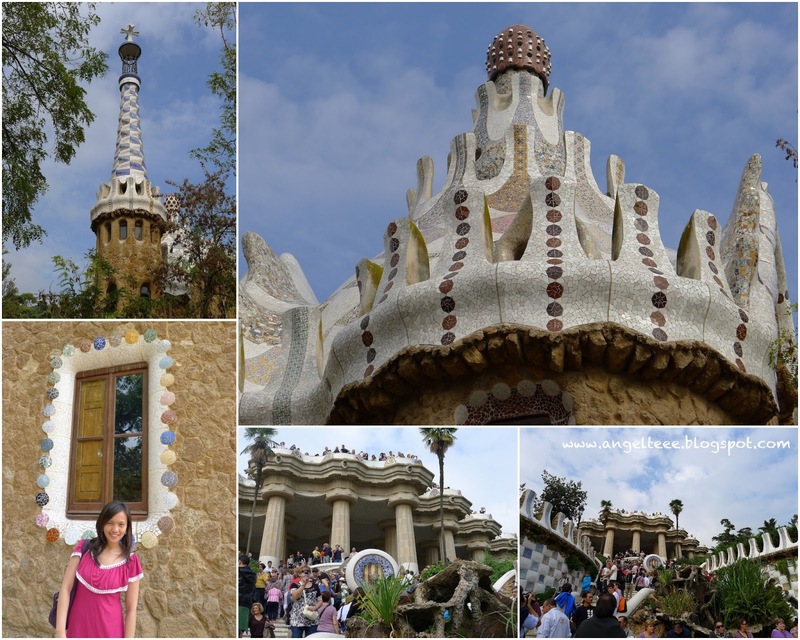 It is one of the must-go-to places in Barcelona and is an icon by itself. The park contains amazing stone structures and rock pillars, stunning multi-colored tile mosaics, and fascinating buildings. The park was commissioned by Güell who wanted to create a stylish park for Barcelona's aristocrats. A giant basilica under construction since 1882, the Sagrada Familia is Gaudi's best work yet. I loved the obvious contrast between the old and the new, with the different stone colors in the front and back façades of the church. 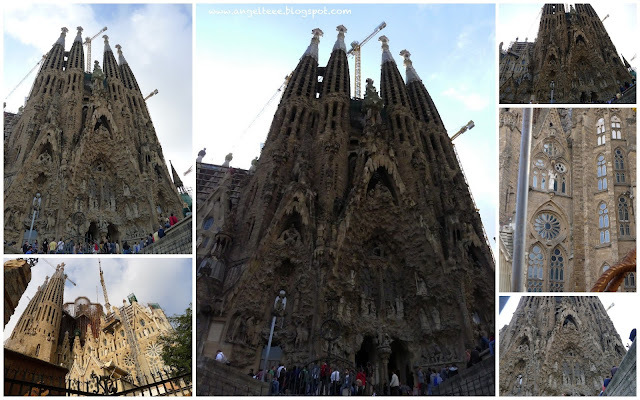 True, I may have seen quite a number of churches in Europe but nothing's quite like the Sagrada Familia - it's one of a kind. The next stop - the famous houses of the "Block of Discord", noted for its modernist buildings. From the outside, the façade of Casa Batlló looks like it has been made from skulls and bones. The "skulls" are the balconies and the "bones" are supporting pillars. Of the three houses in the Block of Discord, this was the only one by Gaudi as an upmarket home for a wealthy aristocrat. Not to be outdone, just beside Casa Batlló, the Casa Amatller, with its unique and without doubt Catalan design, used to be the house of a famous chocolatier. 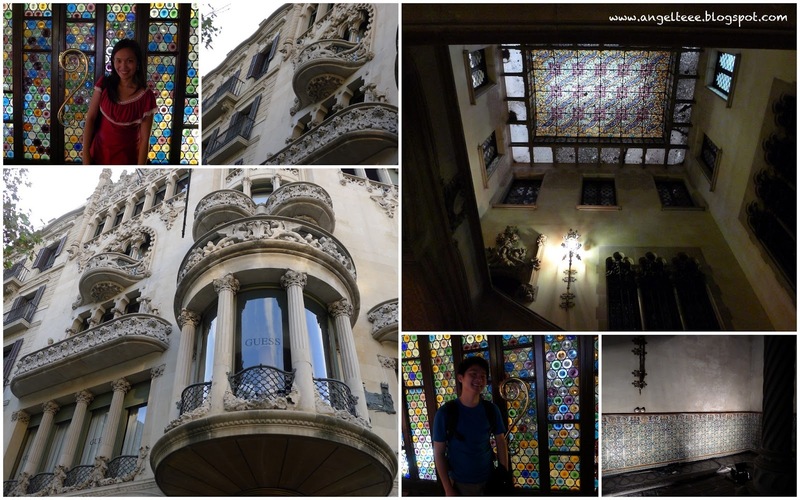 The third and last house, yet equally important, is the Casa Lleó Morera. Unlike the other houses, it was not named after its owner. Rather, it was named after the lions and mulberry trees in the decorations. 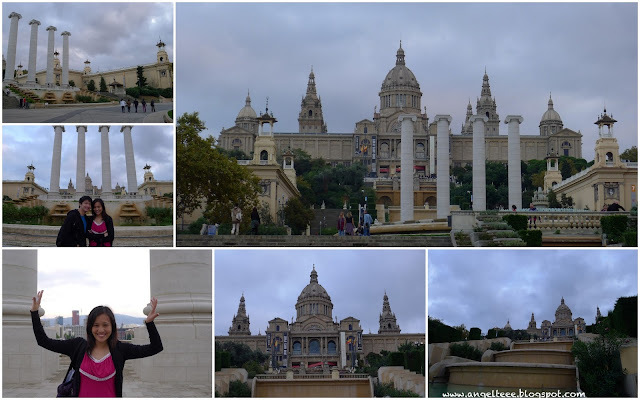 After our dose of Catalan architecture and design, it was time to visit the Magic Fountain of Montjuic. I had been looking forward to seeing the renowned light, sound and water extravaganza. Unfortunately, there was no show during our days of visit as the fountain show is not a daily thing, at least not during autumn. 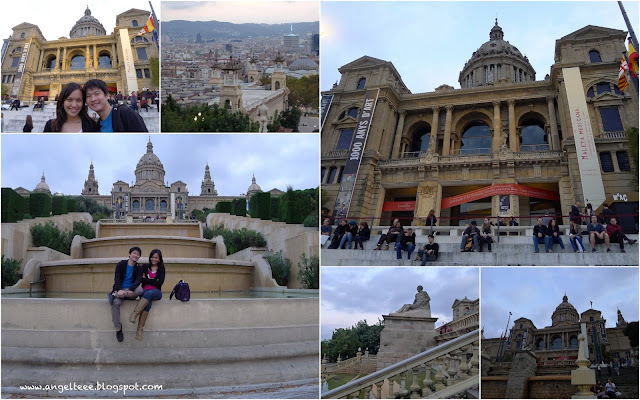 With that, we just headed to the National Art Museum of Catalonia, which was erected on a flank of the Montjuic hill. From there we had an awesome view of the city and the city lights at night. 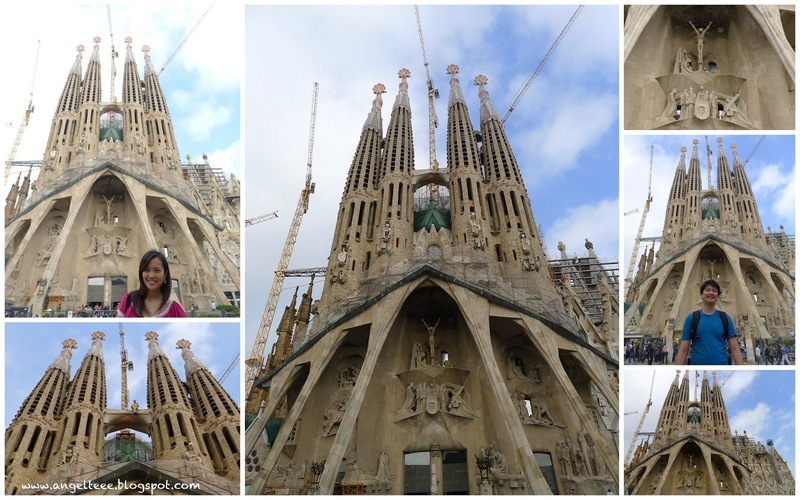 More of our Barcelona trip in Part 2 here.